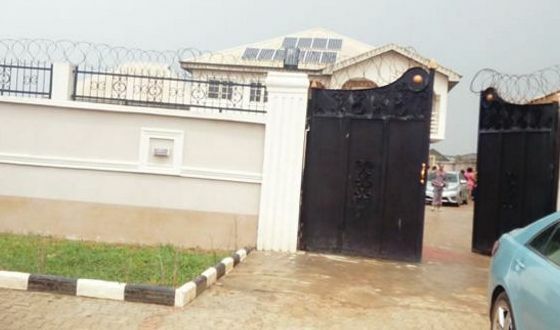 The Secretary, Isheri North Estate Residents Association, Lagos State, Mr. Dayo Adekoya, has been taken to a hospital after he was released by kidnappers. It was learnt that the landlord was released in the early hours of Monday after an undisclosed cash was paid to his abductors as ransom. But the Lagos State Police Command denied knowledge of the payment, saying two suspects had been arrested while operatives were on the trail of other fleeing members of the gang. After five hours of intermittent shooting on the waterways around the estate, the assailants stormed Adekoya’s residence around 12.30am on Thursday and seized him at gunpoint. They also killed three security guards – Dugbe, Oluyole and Friday aka Frayo – and injured two others before escaping with the secretary into the creeks. A few hours after the abduction, they contacted his wife, demanding N80m ransom. The attack, according to police sources, was carried out by members of a gang which abducted pupils and staff members of the Nigerian Turkish International Colleges on January 13. In the wake of the incident, panic-stricken residents had fled their houses to hotels and relatives’ houses, while an estate supervisor, identified simply as Godwin, was nabbed by the police. A resident, who did not want his name in print, confided in Punch that a ransom was paid to the kidnappers before Adekoya was released. “He was released this morning (Monday) after his family paid millions of naira. He has gone for a checkup at a hospital. The government should come to our aid by putting in place the necessary infrastructure and adequate security measures on the estate. “Nobody will live in peace where their safety is threatened. The police and other security agencies have a lot of work to do. We are tired of having heavy security presence on the estate only when an incident like this occurs,” he said. Lagos Police Public Relations Officer, SP Dolapo Badmos, confirmed Adekoya’s release, adding that operatives of the command and Inspector-General of Police Intelligence Response Team were on the trail of the suspects.